Cities and the residential communities within them are changing… Welcome to PRECINCT LIVING, the age-old concept of communities coming together for common interests, safety and investment. In September we explore The uMhlanga region on KwaZulu-Natal’s North Coast which is rapidly developing into an integrated, well-planned greenfield precinct and in Gauteng, Midrand which is becoming more and more urbanised, as the gap between Joburg and Pretoria closes up, and there is so much more. 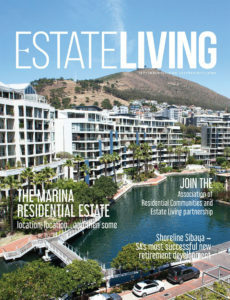 The Estate Living Magazine is currently being distributed to estates nationally. Below please see the link to the online version to share with your residents.